At a yard sale this weekend I found a treasure trove of old handwritten recipes. Oh sure, there were many recipes cut out from magazines (Robert Conrad’s potato casserole anyone?) but it was the ones written on those 1950’s – 1970 recipe cards (you know the ones with the little flower decorations in the upper left corner) that got my attention. It’s a lost art. Who writes down recipes anymore? It’s more like, if someone requests a recipe we send them the link to where they can find it, time just seems to fly a little faster these days. And even if we had the time to write down a recipe, who has the time to make it other than for a special occasion? Pizza hut to the rescue. Think about it. When I grew up food was how you showed your creativity. While my mother did work (after the kids had gotten older) most women didn’t, they stayed at home and took care of the flock. Preparing food was how they nourished their families, while the recipes nourished their creativity. When received from a friend, most recipe cards began with “from the kitchen of..” Sharing recipes was the social network of its time. My kids, who are the sons and daughters of this storyteller definitely know the potential of a good story (or two) when they see it. Helping me sort through the recipes on Saturday night and placing them into two binders, every single one of my kids knew what was coming. If you are around chicken owners for even a little bit of time eventually you will hear stories of hens “turning” into roosters. There are various reasons this can happen. If a flock is roosterless (as ours is) then the alpha hen can actually start to throw off more testosterone and will begin to display more male characteristics. Typically she’ll become more aggressive as she takes the role of protector and will stop laying eggs. This can also happen if there is an injury of some kind to the reproductive organs, for example there can be a tumor that stops normal hormone production. So you see, it’s not *that* uncommon for a hen to become a rooster. What is uncommon, however, is for that “rooster” to revert back to a hen and that’s what happened last fall. 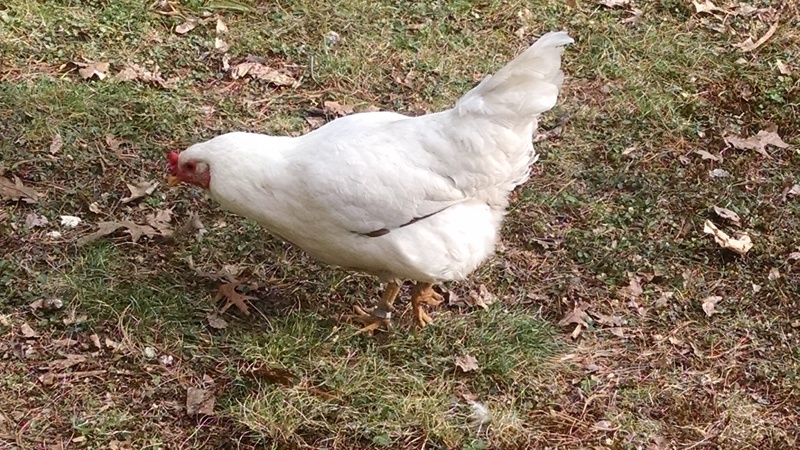 Zelda turned from a golden speckled rooster into a white hen with a splash of her original grey on the bottom of her wing. I contacted a vet who I use as an expert in some of my chicken articles to ask her about Zelda. She confirmed that hen to rooster had been seen, but that hen to rooster and then back to hen was not something that she had ever even heard about. To be fair though, Zelda is about 7 years old. Most backyard chickens don’t make it to that ripe old age which might cut down on the chances of seeing this happen. The only way to truly find out what is going on would be to do an autopsy and, as Zelda is still alive and well, we’re going to hold off on that option. In any event, we ended the conversation with the vet saying, she couldn’t wait to see what Zelda was going to do next. Well, I have an update and here it is. 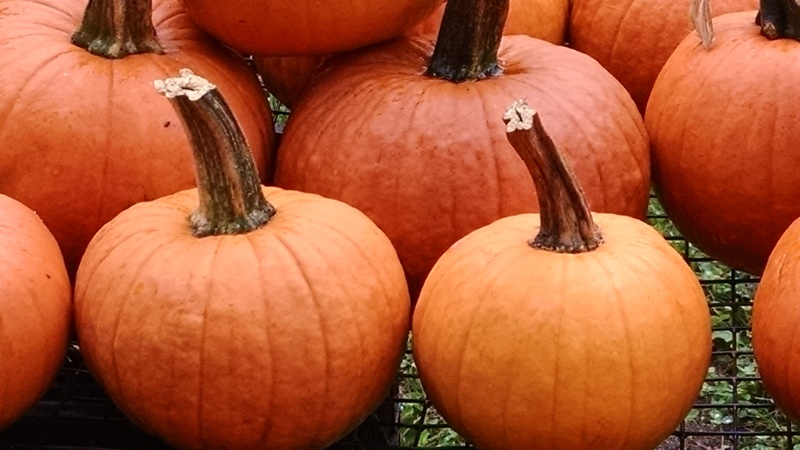 It’s certainly that time of year again – Fall in New England. Not only do the mornings require sweaters (over long sleeved shirts), but the blankets have all been taken from storage, shaken out, and piled high on the beds (in one case, so high that it’s difficult to turn over under the covers at night – that’s the way she likes it, as long as her foot can still find “the cold spot.) Even TV watching and book reading is done under evening throws with a mug of hot cider keeping fingers warm enough to hit tiny remote buttons or turn thin, dry book pages. Slippers not used since last Spring are rediscovered waaaaay back under the beds, and the protest smell of burnt dust from the heat that reluctantly kicked on greets us in the mornings. We all cautiously step around the remnants of summer not quite put away – the last of gardening supplies that need to go into the shed, the pool toys, lying forlornly in a corner. The flock notices the changes and they seem a bit confused – where is the sun’s warmth. What’s up with the leaves on the ground? But they quickly adjust – the sun will be back in the afternoon and under the leaves you can often find the juiciest of bugs. It’s not good or bad, it’s just another transition leading the way onward in the direction where we are all supposed to be going. 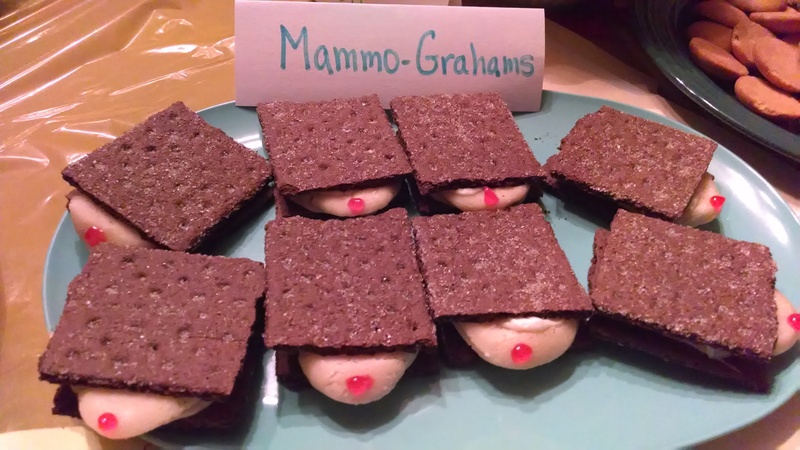 For those who may be visiting Lessons Learned from the Flock because of this Mammo-grahams picture that is all over the place (October is Breast Cancer Awareness month), you’ve reached the right place. I am a writer/journalist/blogger located in New Hampshire and I made those cookies for a local recipe swap/pot luck dinner. 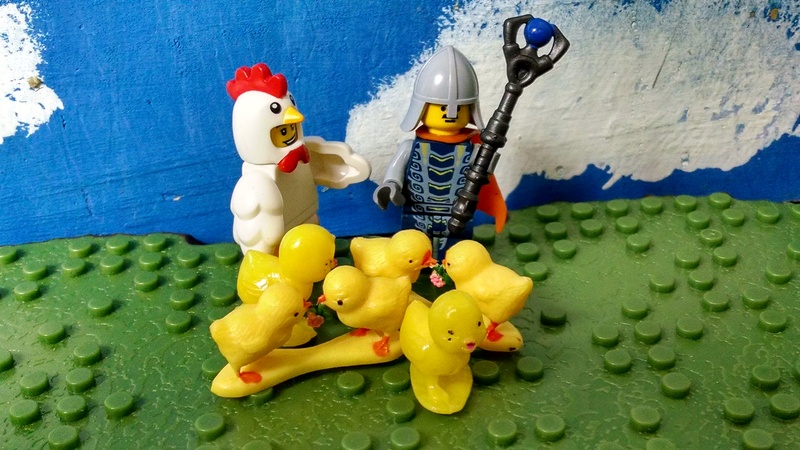 “No Game of Thrones blog post here, they’re all in that direction,” said Amazing Lego Mama Hen. 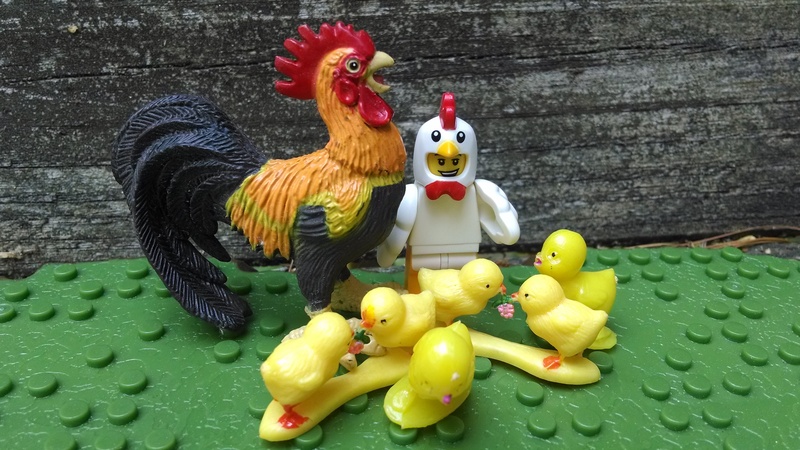 “Oh hey, Daddy’s home,” said the Amazing Lego Mama Hen to her flock.